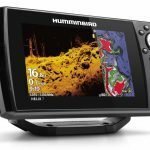 When Humminbird first released the HELIX 5, anglers were shocked to see Side and Down Imaging fish finders for under $500. 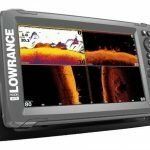 These types of things were previously only had in fish finders costing well over $1,000. The HELIX 5 proved to be very popular among kayak anglers, and small boat fishermen. Some things are unchanged, like the beautiful display and transducers, but the new HELIX 5 CHIRP G2 models are a step up from the originals several other important ways. 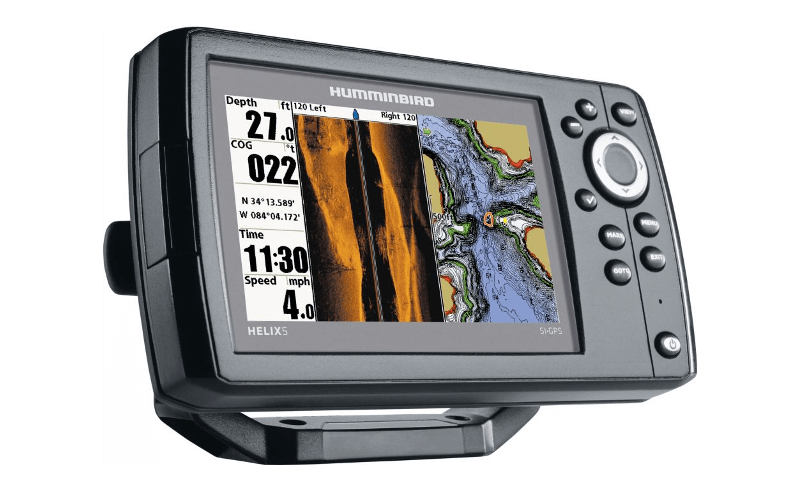 Our HELIX 5 CHIRP G2 review will help you understand how these updates can help you on the water, and guide you towards the right model for your style of fishing. What’s NEW with the HELIX 5 CHIRP G2? While on the outside the units look the same, like the homely girl at prom it’s whats on the inside that counts. Here are some important and exciting new features you should know about. 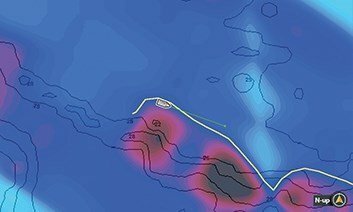 CHIRP Sonar & Imaging – All the GPS enable models have been updated with CHIRP 2D sonar and CHIRP imaging. By “chirping”, the sonar covers a range of frequencies, rather than a single one. 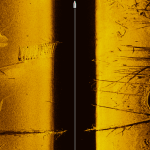 The technique helps create better clarity and better separation between targets (fish) and structure. Improved Keypad UI – The new HELIX 5 G2 have the same improved user interface as the bigger series in the HELIX family. Snapshots are now saved by making a long hold press of the Mark button. A short press will simply lay down a waypoint. For imaging and sonar units, the checkmark button toggles the frequency. Finally, the zoom buttons (+ and -) now control the sonar sensitivity. 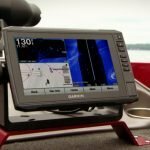 All of these enhancements are super convenient and big time savers on the water. 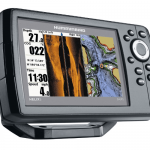 AutoChart Live – All new HELIX 5 GPS G2 models are now capable of live mapping with AutoChart Live. Original HELIX 5 owners can unlock this capability by upgrading their software. 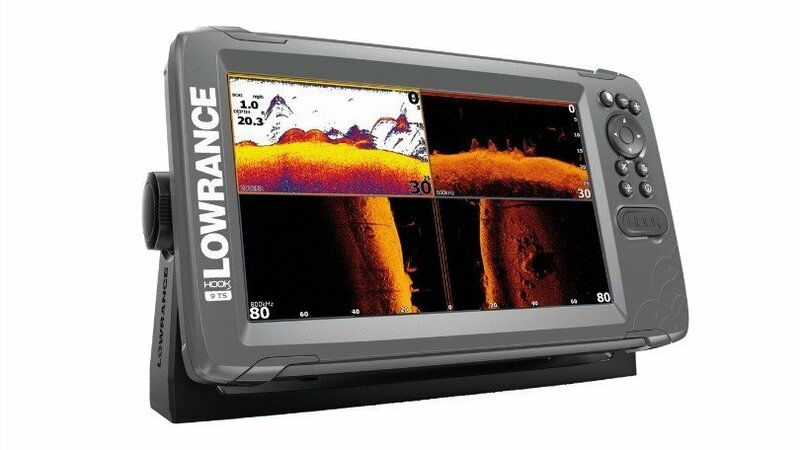 AC Live allows you to paint depth contours onto your fish finder as you drive the boat. You can create maps where there aren’t any, and you can build better detail wherever you want it. You get 8hrs of recording on the unit, and beyond that you’ll want to get a Zero Lines card. Bottom Hardness – Also part of the software update is the Bottom Hardness layer. While mapping with AutoChart Live, it can record hardness readings and display it as it own layer over your map. This is very useful in displaying the transitions from mud to harder bottom, which are the kinds of places that attract fish. Vegetation Mapping – The Vegetation layer is also new and extremely useful. By recording with AutoChart Live, you can also record the presence of vegetation, which can be displayed as it’s own layer on the map view. Now you can see the turns, points, cuts, and hole in the weed beds as you fish. SmartStrike – HELIX 5 G2 models with GPS can utilize the SmartStrike mapping cards. 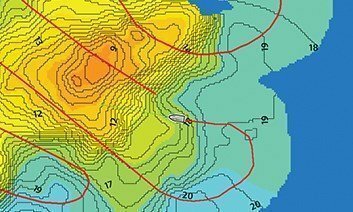 These special maps interface with the software to highlight likely fish holding spots based on the inputs you select. For example, you can select the type of water body, the season, the target species, and the current weather conditions. Then the HELIX 5 G2 crunches the data and highlights areas in a magenta color. Catching the fish is still up to you! LakeMaster PLUS – The final mapping upgrade available to HELIX 5 G2 and original HELIX 5 owners, is LakeMaster PLUS. These special map chips have satellite and aerial imagery loaded on to them, and can be displayed in different styles of layers. We covered this in the LakeMaster PLUS review. This is useful to see vegetation and shoreline structure without having to drive the boat there first. Which Helix 5 G2 is Best? There is a HELIX 5 G2 for any style of freshwater fishing. 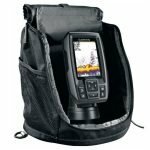 If you have always wanted Side Imaging but were turned off by the price, there has never been a more affordable SI unit than the HELIX 5 CHIRP SI GPS G2. 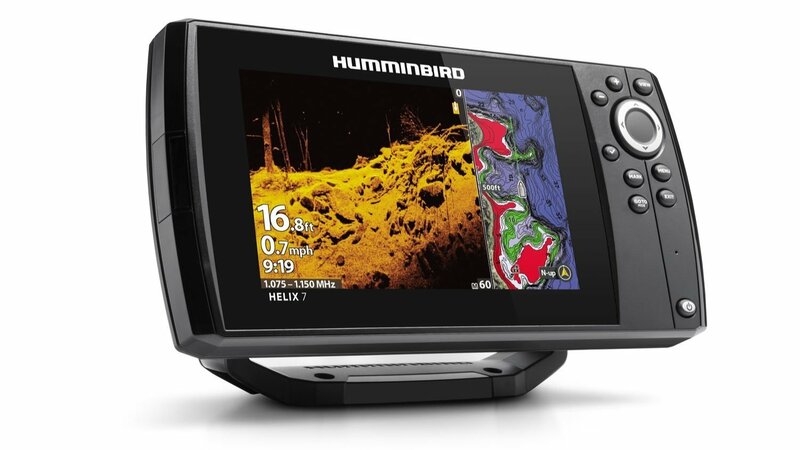 For vertical fishing, like for bass, crappie, and bluegill, a Down Imaging unit like the HELIX 5 CHIRP DI GPS G2 would be a great option. You can see object with more clarity, like rocks, bait, fish, and distinguish the difference between brush and fish. 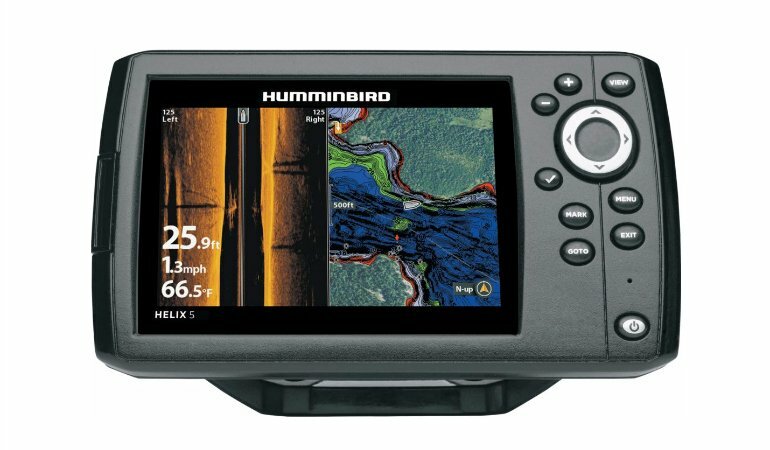 The HELIX 5 CHIRP DI GPS G2 and HELIX 5 CHIRP GPS G2 are very popular fish finders for kayaks. 5 inch screens are perfect size for the small spaces on a kayak, and yet big enough to see the screen clearly. 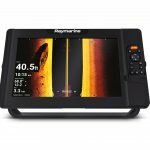 A GPS enabled unit is always highly recommended, because the depth contours on a LakeMaster card help you understand the lake and put you on the right depths to catch fish. No, unfortunately you can’t add SI capability to a DI model.